With a platform shared with the venerable Ford Focus, if ever there was a family hatchback you could enjoy driving the Mazda3 is it. With a platform shared with the venerable Ford Focus, if ever there was a family hatchback you could enjoy driving the Mazda3 is it. Not only that, but it’s one of the most distinctive looking family cars too. 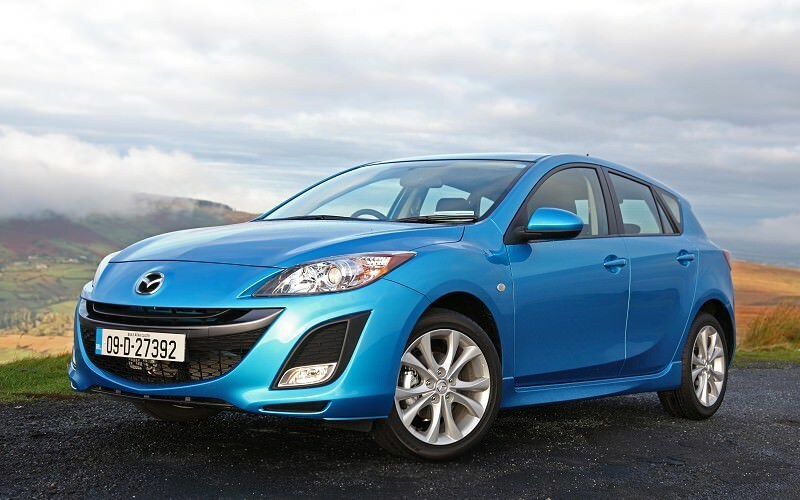 Now in its second generation, available as a saloon or five-door hatchback, the 3 is wider, longer and in typical Mazda fashion, lighter than its predecessor. It’s relatively rare too, which is good for standing out, but does mean values are often high on the used market. This second generation model is only available as a five-door hatchback or four-door saloon - if you want an estate you’ll need to look elsewhere. Still, the hatch is pretty practical in itself, with decent cabin space and a 300-litre boot that extends to 1,360 litres with the rear seats folded. And both it and the saloon offer spacious cabins, often well-equipped - regardless of whether you opt for Comfort, Sport or Executive specification. There’s far less choice when it comes to engines though, with only a pair of 1.6-litre units - one petrol and one diesel. Both offer lively, if not exciting performance, and the newer models also include stop-start to improve economy and emissions. If you want an automatic you’ll need to look to the pre-2010 first generation car, and if you’re in the market for a hot-hatch and lust after the firm’s MPS with 2.3-litre turbocharged petrol engine you won't find many. The range was mildly facelifted for 2012, with new headlamps, grille, air intakes and rear bumper - as well as some minor mechanical changes. That’s good news for used buyers as it should help soften the values of the early cars slightly. Both the petrol and diesel models are perfectly acceptable, but if we had to choose one it would be the diesel for its extra torque and impressive economy figures. We’d also opt for the five-door hatchback, which is more practical, and in our eyes better looking than the four-door saloon. After that it’s advisable to go for as high a spec as you can; either the Executive or Sport models offer plenty of toys. A bit of a left-wing choice, but if you want to stand out then driving a Mazda3 will do that better than a Ford Focus or Opel Astra. It’s also got more standard kit than its rivals, and though not quite as engaging as the Ford it’s not far off. If your budget stretches then the later 1.6-litre diesel is especially good, with improved economy and a quieter cabin.